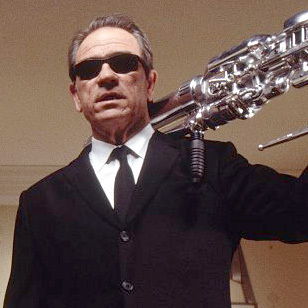 In the movies Men in Black and Men in Black II, Tommy Lee Jones wears Ray-Ban RB 2030 Predator sunglasses. 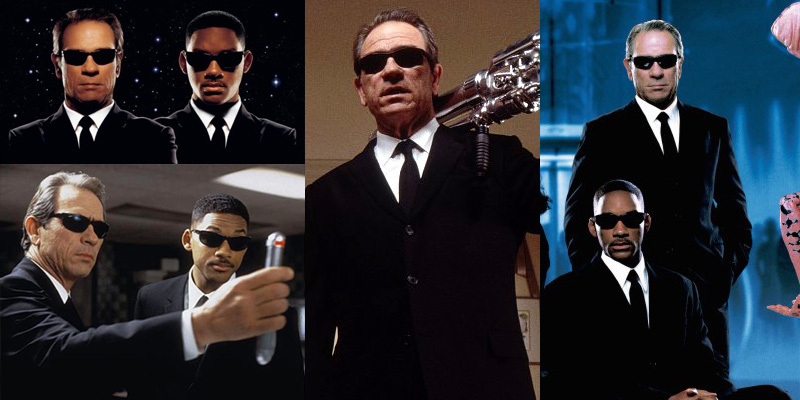 These Ray-Ban wrap frames can be seen in the movie, on the posters and are even mentioned in the Men in Black title song by Will Smith, as he sings "the black suits with the black Ray-Bans on". Will Smith wears the same sunglasses in the first film as well, but not in Men in Black II. 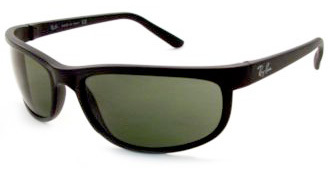 Ray-Ban reported a huge increase in sales of these glasses due to the popularity of the movie. The Predator glasses can be bought with Matte frame or Glossy frame.